Homebrew Supplies, Doncaster. Everything you need to brew wine, beer and high alcohol. 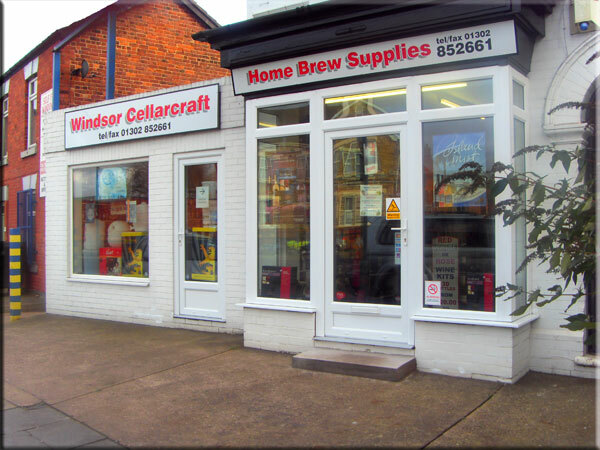 Homebrew Supplies is located in Doncaster South Yorkshire and offers a professional service, vast knowledge and advice on home brewing from wine, beer and high alcohol. We are an Aladdin’s cave for home brewers and have the largest range of beers, wines and spirit kits in the immediate area. Brewing is our hobby too! We are not out to make a vast profit, a living is sufficient. We hope you feel comfortable in our shop or on our website and want to return even if only to say “hello, my latest brew has gone well” or to discuss how to improve your next brew. We will try not to sell you something unsuitable or more than you need. When we tell you about alternatives, improved or new products, we are trying to help you make an informed choice, not to get a quick sale. We believe in making quality drinking alcohol cheaply – not making cheap alcohol.